“I don’t have anything designer,” Lucy warned me. In the words of Cher Horowitz, as if! Labels don’t matter when you’ve got an eye like Lucy’s – she’s the merchandiser for Urban Outfitters here in Charlottesville. We’ve quickly bonded over our twin passions for clogs and keeping our hair up (joke). I invited myself over the other week to see what she had in her closet and she obliged me by playing dress up. The above outfit is what I styled her in…a short mod-ish number cinched with a belt to make a waist (the dress naturally falls like a trapeze dress) and, of course, chunky heels. As you can see above, Lucy keeps some of her to-be-worn outfits on hooks on her wall so she can do some off-duty merchandising for herself! When Lucy lived in London she shopped at chain Primark, which she says is known unofficially as “Primarni,” to make it sound more designer-y. “Like Marni?” I asked. “No,” she said, “like Armani.” I guess it really covers both bases! At this point Lucy literally took a dive into her closet…which, as you might imagine, has a lot from UO and Anthropologie. And then we ended up with this shot. Because a friend of mine commented on the inspiration for this post, “no one dresses like that in the Southwest,” I give you my outfit and declare it officially inspired by what I’ll label a fallible fashion fantasy. Blame Ralph Lauren! The bracelet and extraordinarily controversial fringed pouch (i.e. everyone thinks it is comically ugly, but I love it) are from Low. I tried a slightly more romantic feel for the photos in this post…I have to admit that being my own photographer is getting exhausting and definitely reaching the limits of its potential as a form of self-expression. Also, I’m pretty sure the people who work in the office above my courtyard think I have zero friends considering half the time they look down I’m sitting there laughing and smiling at nothing. It’s great! 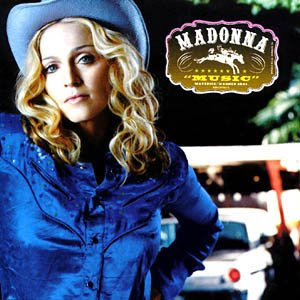 I love me a vaguely “cowboys & indians” themed anything, mostly because I’m such a big fan of wide-brim hats, denim and Madonna’s Music album. Images via W Magazine, Models.com, A Continuous Lean, Vogue.fr, Charlotte Minty, Oracle Fox, Garance Doré, Opening Ceremony, Tommy Ton and Fashion Toast…possibly others, oh no! I’ve forgotten. The bathroom window is custom-made…and incidentally my favorite window ever. This Haus is Not a Home. It’s a Bookstore. Tomorrow morning at 8am I head off to Geneva. Then Saturday I’m in Lausanne and some other French speaking towns. Fun! but also DIE. 8am = too early – morning person x agony. No posts for at least three days! Ahh! And I won’t have my computer?? END OF THE WORLD. This sums up how I feel about that (be sure to read the caption at the bottom for the full effect).